Easy, tasty, Mediterranean quick fixes for your beer or wine. Choose good quality tomato paste for better results. In a bowl mix capers with tomato paste and olive oil until combined. Toast bread slices. 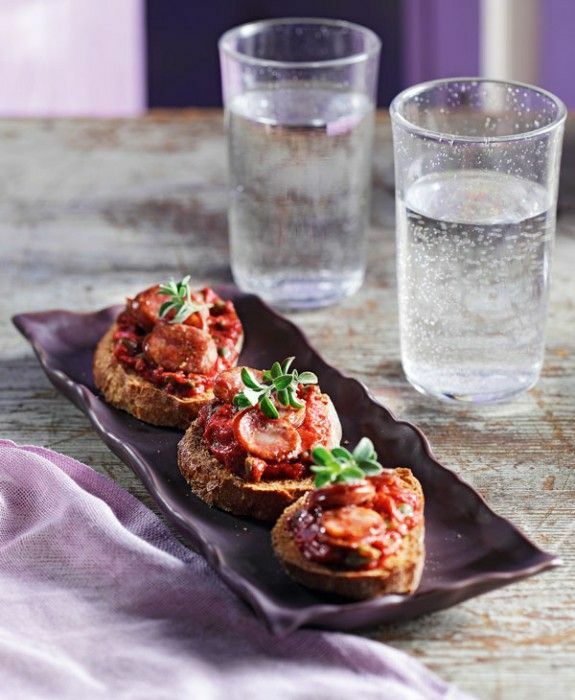 While still warm spread tomato paste mix on bread slices, garnish with sausage slices and sprinkle with thyme. Serve on a platter with rocket leaves on the side.